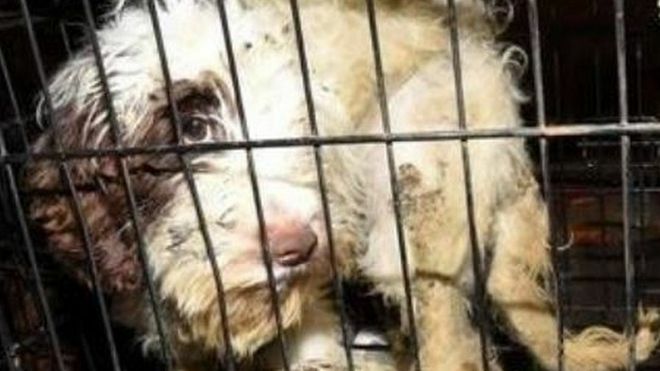 Fifty-four dogs have been rescued after being found stacked in cages in a house during a raid by police and RSPCA inspectors. The home in Morecambe, Lancashire, was searched on Tuesday after the RSPCA received tip-offs from local people. The dogs – mostly either cockerpoos or cocker spaniels – which had been badly neglected are now being cared for by the charity. The RSPCA is continuing to investigate why they were being kept at the house.